On Wednesday morning, we continued from Furusund to Mariehamn after spending six days in the Stockholm Archipelago. 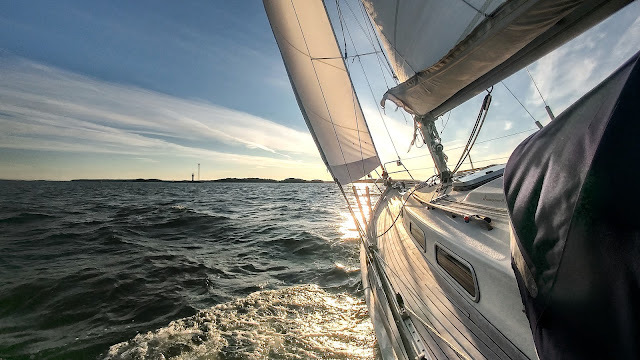 The winds have kept blowing from the north for an extraordinarily long period for this time of the year, so we have been waiting for a good weather for crossing the Sea of Åland. 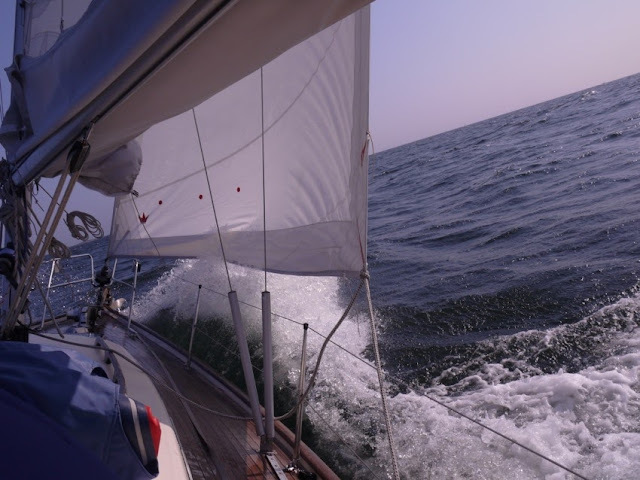 On Wednesday, we started early and got a good N-NW wind for the crossing. 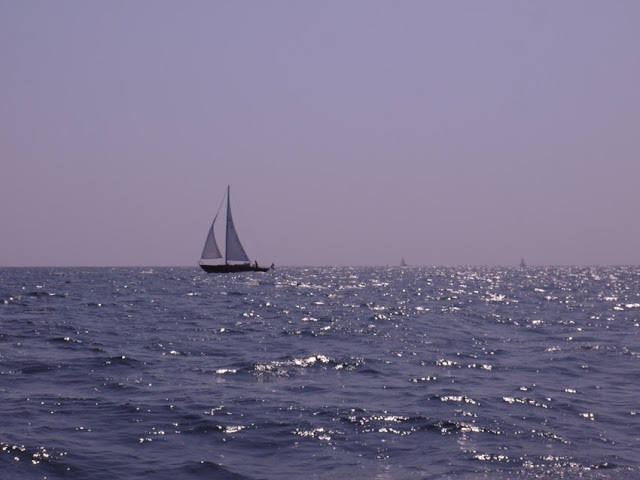 The sea state was easier than we expected, despite the northerly gale a day before. A lot of traffic at the sea after many days of strong winds. 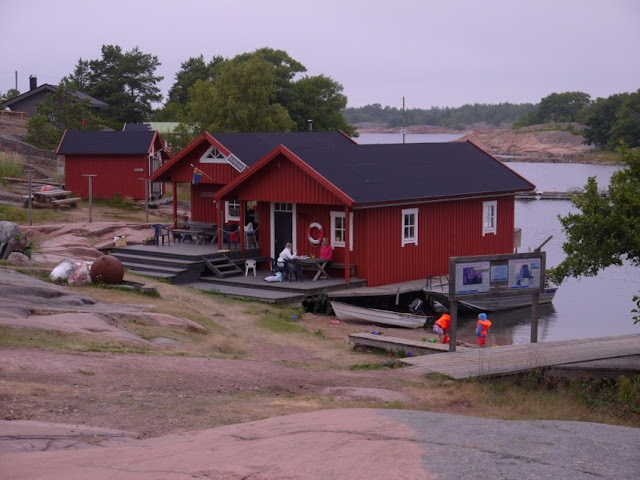 We arrived in Mariehamn in the afternoon, and had good time to clean the boat, to relax and have a sauna, before catching a night ferry to Turku. 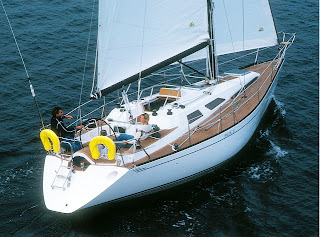 We had to leave Dolphin Dance to Mariehamn for four days, since I had to get back to work for the weekend. 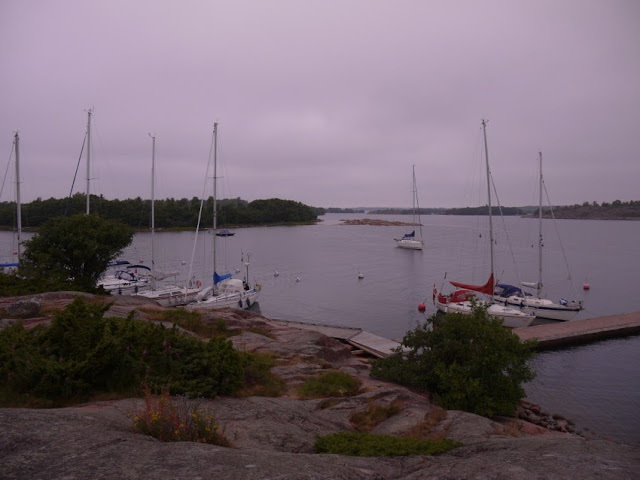 On Sunday, we came back to Åland and continued with a short leg to Rödhamn, located about 9 nm south of Mariehamn. This excellent natural harbour has been known by seafarers for hundreds of years. Today Rödhamn is a club harbour for sailing club ÅSS. Fortunately for non-members, there are also plenty of berths for guest boats on the northeast side of the island. The island of Rödhamn is very beautiful. Unfortunately, the weather was grey and misty on Sunday.